Here's an amazingly beautiful Art Deco cube style set from Sparton. This set has a very interesting history, as many radio sets with shortwave, that were owned by Italians, Japanese and German during World War II, the shortwave band of their sets were typically disabled. This set happens to have been one of those and it is the very first I have come across in my many years collecting radios. I have refinished the cabinet with the finest lacquers in a pleasing three tone color combination. 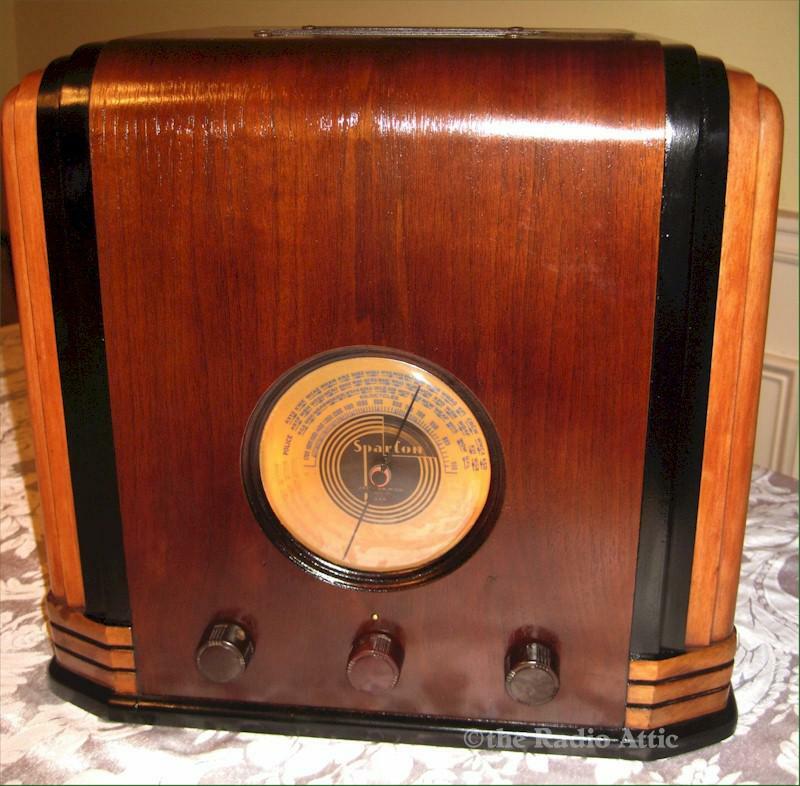 The electronics have been restored and while it plays superbly on AM broadcast, the shortwave is lacking because of being disabled in WWII, though I restored as much capability as possible. 13"W x 12-1/2"H x 8-1/2"D.